Product code: 1525 Categories: Sold Items, Sold Jewellery. This is such an attractive and elegant antique amethyst and pearl bangle that is still in fantastic condition, over 100 years later. 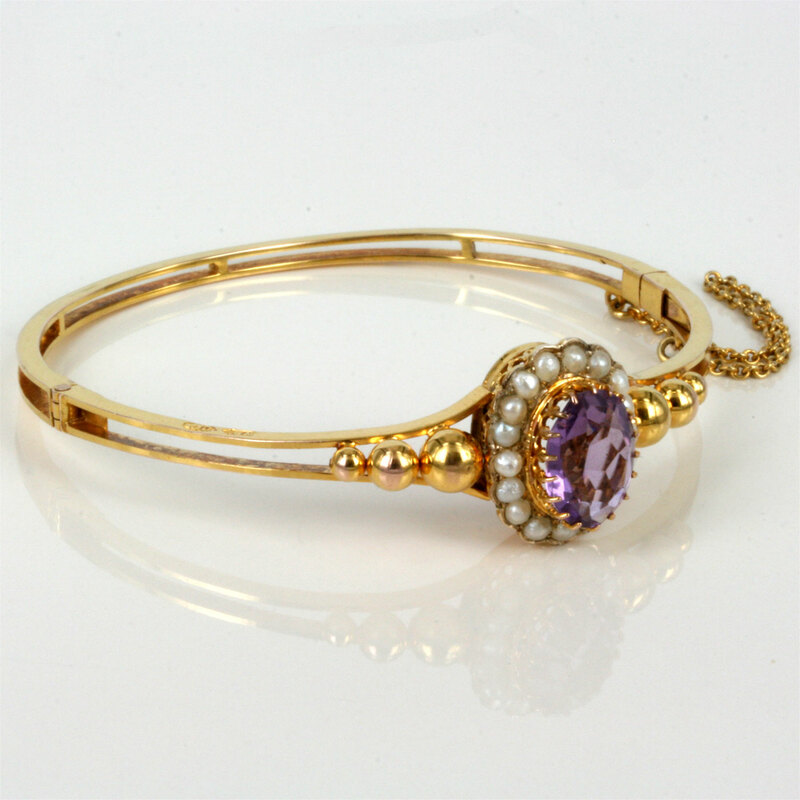 Made in the early 1900’s, this wonderful bangle is set with a beautiful amethyst surrounded by 17 pearls, and all set in a classic cluster design. 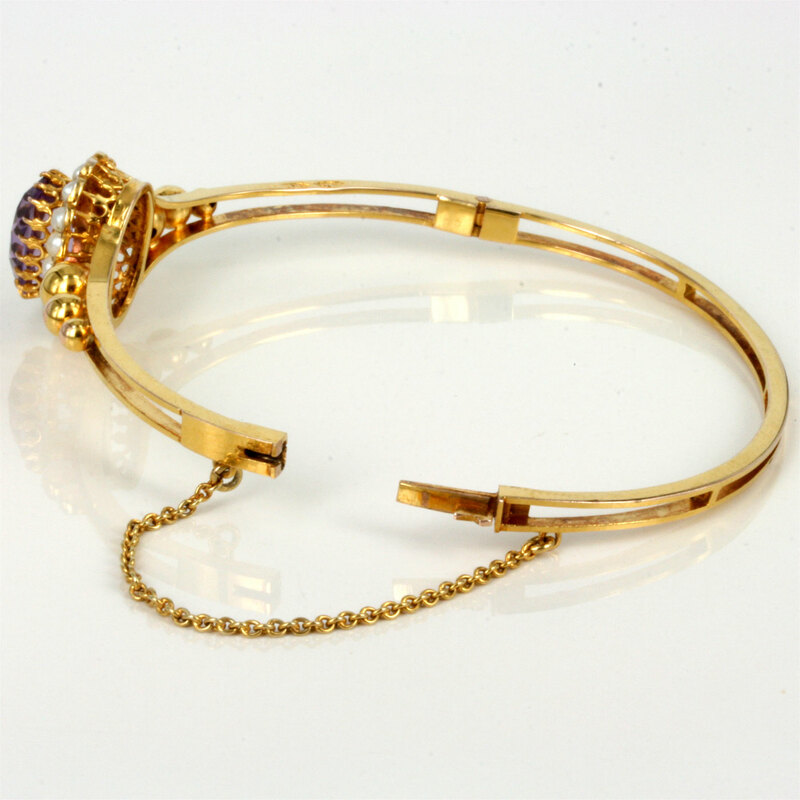 Made in 9ct gold, this hinged bangle sits perfect on the wrist, and can still be worn every day. Just look at the detail that has gone into making this piece, and something that will just captivate you every time you wear it. A truly magnificent example of an antique bangle, this piece is just wonderful and will always be loved and appreciated.